Are you a banana bread lover? I sure am, especially when the recipe is simple and practically fool-proof. 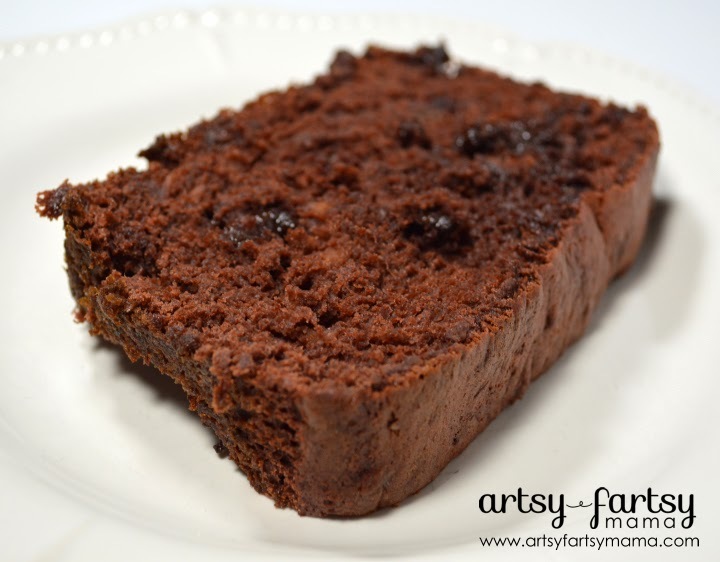 Not only is this banana bread the easiest you'll ever make, but it's full of chocolate! We love making it just for snacking, or it makes a great dessert. Plus, you most likely already have your ingredients in your pantry. Smash bananas in a large bowl. I threw the whole (peeled) bananas into the KitchenAid and they were smashed in seconds. Add remaining ingredients and mix well. Batter will fill two small loaf pans, or one large loaf pan. Make sure to spray pans well with nonstick cooking spray and add a little bit of flour. Bake at 350° for 35-40 minutes. The larger loaf pans may need to cook for 45-50 minutes. Test with a toothpick to check that the banana bread is cooked through. Freeze overripe bananas. Put them in a Ziploc bag (peel and all) and thaw when you're ready to use! They stay good for up to 3 months. Don't have a loaf pan? No problem! You can also make this recipe in a muffin tin, cake pan, or a bundt pan. Just be sure to adjust the cooking time accordingly. Not a chocolate fan? Try my regular Easy Banana Bread! YUM! I'll definitely be trying this! Great recipe - so easy! Love your tips too. I didn't know you could freeze the rip banana - I knew about freezing them just not that way. Thanks. i made this twice and everyone loved it. no more throwing away bananas. 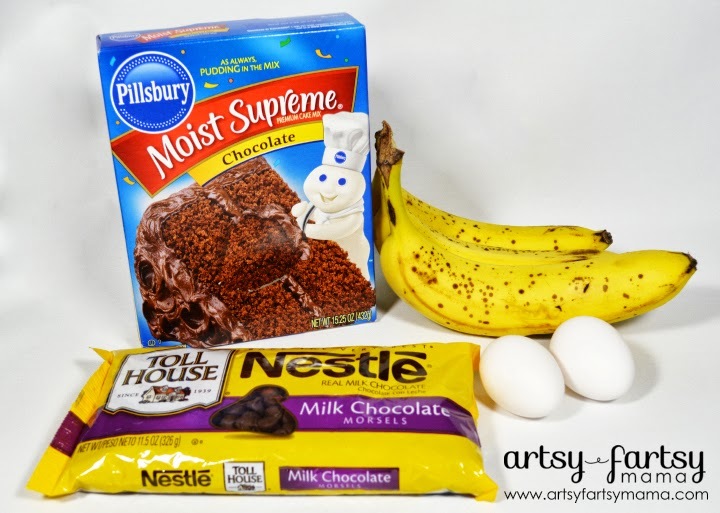 i always have cake mix and bananas on hand! i just made about 14 small loaves... AH'may'zing... and the house smells divine :) My nephew helped me and we did some interesting things with add ins... just go all out like i did!! !